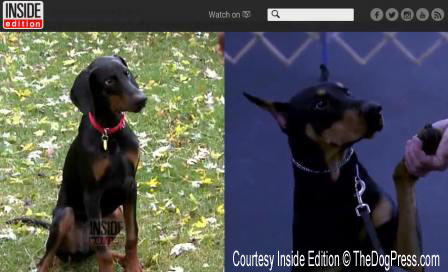 Doberman legends describe breed history, purpose and breed type as the backbone of the purebred dog and the defining point in each AKC Breed Standard. History! It is the backbone of the purebred dog world. Without knowledge of breed history, an exhibitor can only exhibit a dog that looks similar to another dog. Without history a judge can only evaluate shapes in a ring, never a breed. Breed history not only gives a description and the parentage of a dog but it gives one an understanding, a passion, so to speak, for the breed itself. It makes purebred dog breeders and those who judge our dogs appreciate every aspect of the breed no matter how small or insignificant it may seem..
Purebred dog breeders felt strongly enough about this history and the breeds to formalize a written description of them. It is called the Breed Standard. Then there was a registry that compiled these breeding records. But just as religion did not create God, the registry did not create breeds. A registry was an important tool in a breeding program, however it never seemed to be the intentions of any breed’s architects to give a registry power over breed standards. And yet today this seems to be the very battle facing all parent clubs. How much involvement a registry should have in micromanaging breed standards has been of great concern for icons of the purebred fancy. The late Peggy Adamson and Frank Grover were two of those icons for all Doberman Pinscher devotees. Frank and Peggy were in constant communication concerning repeated requests to change sections of the Doberman standard. Peggy and Frank together had well over one hundred years experience with the Doberman Pinscher. They had breed history behind them which validated their concerns and decisions. 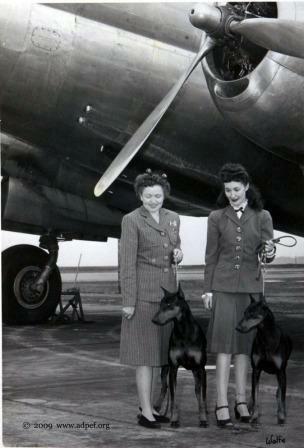 Frank and Peggy were breeder-judges and historians and considered by many to be pioneers of the “American Doberman”. It was apparent from their correspondence (letters which Frank shared with me before his death) that during the 1980’s both he and Peggy were very aware of the efforts from outside the parent club to “re-organize” the Doberman standard. In a correspondence of May 1989 Frank writes to update Peggy of the “re-organization” efforts being orchestrated by the American Kennel Club. Sharing concerns about how to handle this situation, Peggy wrote, “A Breed Standard is arrived at by the consent of the breeders, it cannot be imposed on them by outside authority.” Both Peggy and Frank felt strongly that allowing a registry the power to organize breed standards would encompass much more than the standard and eventually it did. In a letter dated May 18th Frank writes to Peggy “the re-organization is apparently essential and demanded.” He tells Peggy in early March that they (the AKC) “wanted several changes to our standard including “a description of a correct uncropped ear”. Frank was alarmed at these demands from the registry to the breed club. “The standard”, he said, “is not a study in faults, it is an attempt to describe the ideal”. Peggy, who was always adamant that the Doberman was a cropped breed replied “Breed type emerges from the whole standard”. WHO OWNS THE BREED STANDARD? Disagreements between the registry and the breeders concerning a breed’s standard are not new. Today however there is much more at stake than the individual breed standards. Perhaps some problems stem from programs such as commercial sponsorships. Such sponsorships are a two-edged sword. They generate revenue that supports “programs” that generate more money. The problem is that once we begin spending the money we cannot live without the extra income and as commercial sponsorships grow we become bound to the companies that buy them. History makes the purebred a purebred and a designer dog just another mixed breed. Unlike breeding programs of the past, for the most part there is no method, no goal or no long term plan to preserve today’s purebred dogs. Instead of creating new breeds, these so called designer dogs destroy established purebred breeding programs. 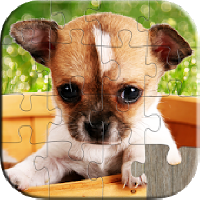 They are little more than random breeds bred together to create a saleable mixed breed. Designer Dogs fill classifieds everywhere. Due the internet misrepresentation, the public believes them to be a healthy alternative to purebreds. Unsuspecting people continue to buy and breed designer mutts at an alarming rate. By bowing to the radicals and their politically correct crowd, breeders of purebred dogs continue to compromise that one thing which makes purebreds unique… their history. The legendary AKC All Breeds judge Anne Clark predicted that “Designer dogs will become the next real threat to the purebred world.” She added that “Centuries of intensive, well thought out breeding programs could be wiped out in a very short time…” Sadly, when we allow our breed history to be disregarded simply to placate the registries, purebreds will become rare breeds. If there are not enough purebreds to support the registry, it will always find other ways to generate revenue. With no regard for the history of purebred dogs, mixed breeds (cleverly renamed “designer dogs”) may become the new kennel club of the future. These changes make a difference in our fight against radical legislation. Today as one begins to study legislative hot topics affecting purebreds, a pattern begins to emerge. Battle lines are drawn in the purebred community between what is beneficial to the registry and that which benefits the breed itself. Due to this “politically correct” power struggle within the purebred community, we are unable to defend against even the tiniest misconceptions concerning purebreds. We are unable to effectively fight the plethora of legislative issues being considered in the U.S. today and find ourselves relegated to simply stamping out embers while the fire rages on. For example, the animal rights radicals screamed pet overpopulation and we reacted by producing spaying and neutering campaigns for them! It is our own words they use to promote mandatory spay neuter legislation today. Did we even take the time to state that there is no real evidence to support “their” pet overpopulation claims concerning purebred dogs? Groups calling themselves “humane” bring hundreds of strays from across the borders to our shelters and yet it is our own purebreds we spay and neuter while turning our parent “breed” clubs into little more than human societies. Our registry has become a classic example of the tail wagging the dog. Good breeders have become part of the puzzle. Today it is not even important to be knowledgeable about the breed or its history. We give titles and voting privileges to club members whether they have a dog or not. The fact is we are so caught up in the glamour of titles that we ourselves unwittingly support the animal rights propaganda. We find ourselves promoting health tests instead of pedigrees. We use health certifications as badges of honor in our advertisements. The radicals and Designer Dog breeders use them as proof that purebreds are sickly! When the naysayers cried fraud in our pedigrees, we created DNA testing to put more demands on the already responsible breeders. This gave the radicals fuel to verify their claims that purebred dog breeders are not trustworthy. 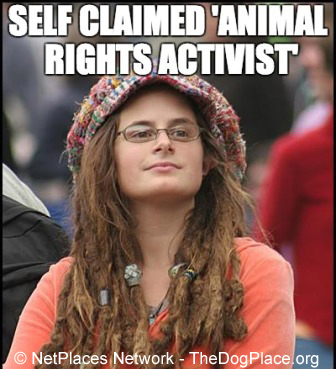 The animal “rights” radicals embellish and promote stories of bad temperament in our breeds. 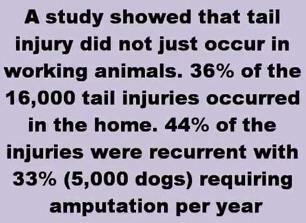 They implore our legislators to create breed specific legislation. Their efforts have made it difficult for purebred dog breeders to insure our homes! We respond by creating the ‘AKC GOOD CITIZEN” test to humor them - a test that produces revenue for the registry but does nothing for the breed or breeder. And finally, the radicals cry “eliminate cropping and docking” and sadly, our registry designs “guidelines” to support their cause. To survive we must understand that breed history is the very foundation on which purebred dogs are built. It is the fiber that holds our canine community together. It is the one trait the separates us from all others. As we chip away at that history our breeds suffer. While the purebred dog suffers, our registry considers more ways to promote mixed breeds. Our once proud registry at one time took pride in and gained credibility from the purebred breeder. It now finds pride in test results, titles, logo-laden trinkets and its power over breed standards. Perhaps in the eyes of the registry, the golden age of the beloved purebred is gone but in the eyes of a breeder, the future of our purebreds lies beyond the yellow brick road that is paved with fool’s gold. Our country draws its greatness from the different nationalities within it, each contributing its best to enrich the nation as a whole. The strength of any breed lies in the many breeders working to perfect it. Peggy Adamson, AKC judge and Doberman fancier. Judge on why the dog closest to the standard may lose.